Winking Face Side Mirror Decal Only $1.45 + FREE Shipping! You are here: Home / Great Deals / Amazon Deals / Winking Face Side Mirror Decal Only $1.45 + FREE Shipping! Add a little whimsy to your car that will make you smile every time you see it! 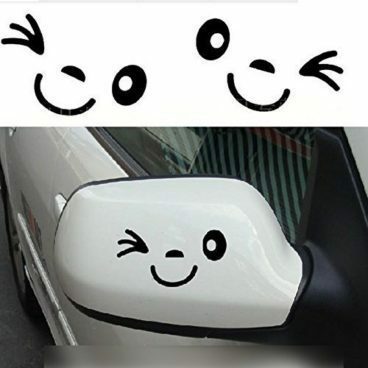 Get a set of Winking Face Side Mirror Decals for Only $1.45 + + FREE Shipping!